There were jubilations and applause as Mantashe was talking on this matter. The ruling African National Congress (ANC) has given President Jacob Zuma an ultimatum to resign or face a motion of no confidence in Parliament. This is according to ANC chairman Gwede Mantashe who told hundreds of ANC supporters at the Umsobomvu Community Hall in Butterworth in the Eastern Cape on Tuesday, the same day the party confirmed its national executive committee had taken a decision to recall Zuma as head of state as he had refused to go of his own accord. “We have allowed him to make up his own mind to resign on his own, in order for him not to forfeit his benefits. 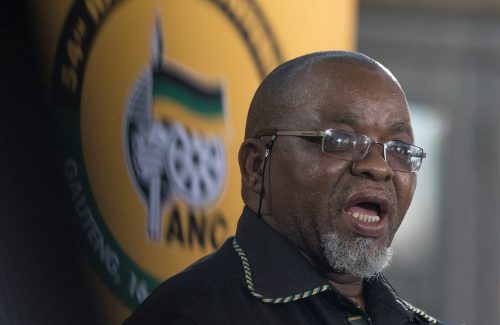 When he refused to do so, we applied rule 12.1-2-1.2, which says ANC has the authority to deploy and recall and it is not a disciplinary process, we (ANC) are not charging you, but discharging a political decision to recall you,” said Mantashe, who was in the area for the continuation of the ANC’s 106th birthday celebrations and to address divisions at the Mnquma Local Municipal Council. He said if Zuma continued to refuse to obey, the ANC would have no option but to allow a motion of no confidence in him to take place. On Tuesday, the ANC officially recalled Zuma despite his pleas for an extended stay at the Union Buildings. In a press conference at ANC HQ Luthuli House in Johannesburg, ANC secretary-general Ace Magashule confirmed that the party’s officials had communicated the NEC decision to the president.